Soon after the Walmart-Flipkart deal received the approval of the Competition Commission of India (CCI), global ecommerce behemoth Amazon has invested an additional $385.8 Mn (INR 2,700 Cr) in its Indian business, taking its total investment in India to nearly $4 Bn in the last five years of its operations. 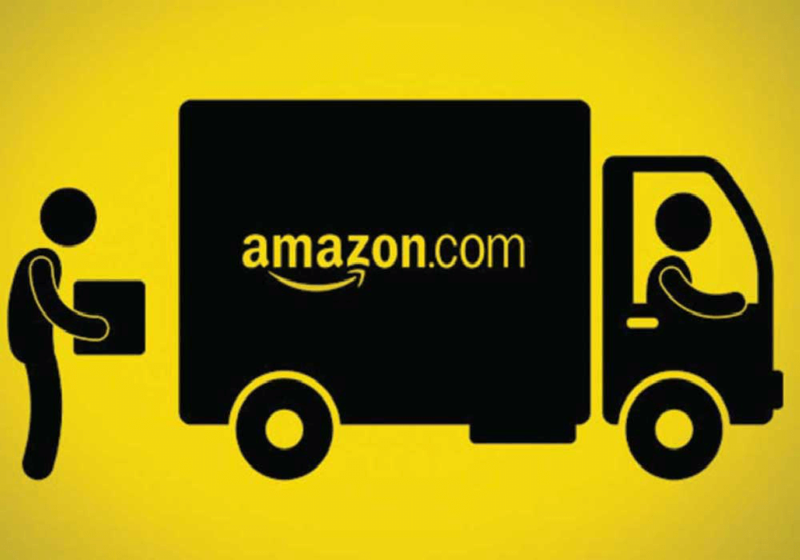 Amazon had earlier committed $5 Bn to its Indian business and $500 Mn to its food retail business in India. The company has simultaneously invested $14 Mn (INR 100 Cr) in Amazon Retail India Pvt Ltd. The ecommerce giant invested the amount in its marketplace arm, Amazon Seller Services, earlier this month, according to regulatory documents filed with the Registrar of Companies. For Amazon CEO Jeff Bezos, India is the company’s most important international market and winning the market share battle in India is its topmost priority, after the company’s experience in China against Alibaba. In recent interviews, India chief Amit Agarwal has indicated that the online retailer would spare no expense and invest as much as necessary to conquer India. Till date, Amazon has been spending all its cash on building massive warehouses, a huge logistics unit, marketing activities, discounts, and increasing its product assortment. The latest investment is in line with the company’s plans to become the market leader in India against the dual power of Walmart and Flipkart. A Citi Research report had said that Amazon India was expected to reach $70 Bn in gross merchandise volume (GMV) and $11 Bn in net sales by 2027. The same report valued Amazon India at $16 Bn. For both Amazon and Walmart-Flipkart, sales growth is a much bigger priority at present than cutting losses; analysts say they’re nowhere near profitability. Recently, Amazon opened 15 fulfilment centres in Bengaluru, Delhi, Hyderabad, and Mumbai to create a specialised network for Amazon Now. About a year ago, Amazon had received the final nod from the government for its proposed $500 Mn investment in food retail in India. But its plans seem to have hit a roadblock as it is trying to get clarity on the restrictions imposed by the Department of Industrial Policy and Promotion (DIPP), which has asked the company to maintain separate equipment, machinery, and warehouses for its food and marketplace businesses. Amazon is trying to understand if it can share some of its warehouse staff, entry and exit doors at warehouses, barcode machines, trolleys, etc between its businesses. Also, it has sought to understand if it can maintain the “segregation virtually”. However, it has received support from food processing minister Harsimrat Kaur Badal, who has asked the DIPP to relax the restrictions. Amazon had last committed $1.5 Mn to its food retail business in June 2018. Recently, it also invested $33.5 Mn (INR 230 Cr) in its digital payments arm, Amazon Pay. Following the acquisition by Walmart, Flipkart has been increasing its commitment to the Indian market with several new initiatives, including a foray into fintech for which it has sought NBFC certification. Flipkart has also set its next target — a GMV of $17.6 Bn by 2020-21. Flipkart has been expanding its bets on grocery, fashion, furniture, etc as the company expects about 45% ($7.4 Bn) of its 2020-21 GMV target to be contributed by mobile phones, followed by large appliances and fashion at $2.7 Bn and $2.6 Bn, respectively. Groceries are expected to contribute another $1 Bn. Meanwhile, global search giant Google is also expected to venture into the Indian ecommerce industry on its own, after failed plans to invest with Walmart in Flipkart. A recent Forrester report revealed that Flipkart’s standalone market share was estimated to be 31.9% at the end of 2017 while Amazon India’s was 31.1%. The company had started out in India with a 14% share in 2015 against 43% of Flipkart. The Indian government’s Economic Survey 2018 revealed that the ecommerce market reached $33 Bn, registering a 19.1% growth in 2016-2017. The IBEF expects the Indian ecommerce market to reach $200 Bn by 2026. With Amazon’s latest investment in its India busienss, competition among the trio — Amazon, Flipkart-Walmart, and Google — is set to go up a few notches.